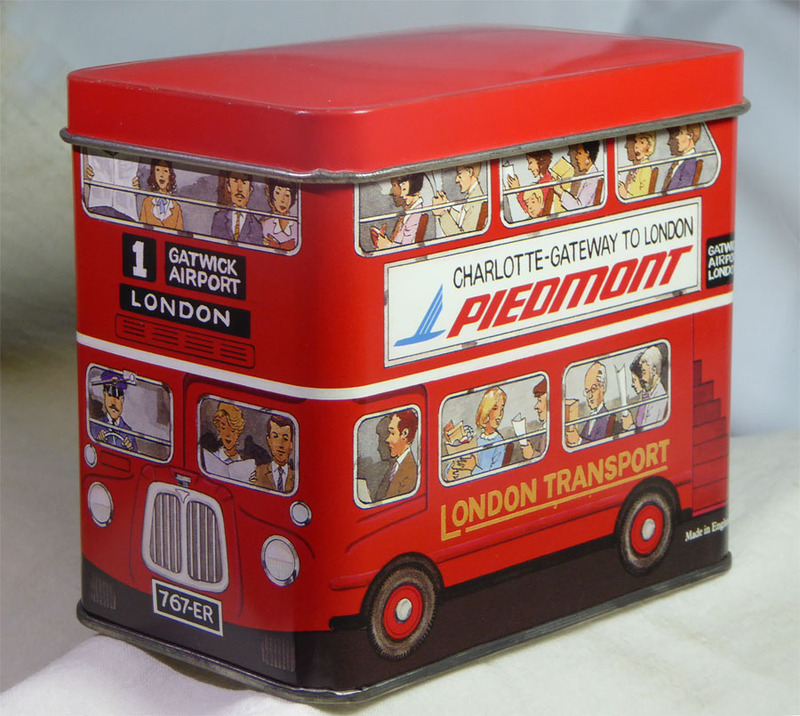 Starting in 1987 or so, Piedmont Airlines acquired some Boeing 767-200ERs and began service from Charlotte NC to Gatwick in London. This tea container (it still has the original tea bags in it) measures about 4.75″ long, 2.75 deep and about 4″ tall. It was made in England. I would expect this to have been distributed around the time of the origination of the service. Speedbird seen! Posted in Bob Lawrence Photography and tagged Boeing 767-200ER, Charlotte to Gatwick service, Piedmont Airlines, Speedbird. Bookmark the permalink. Zoom! Zoom! 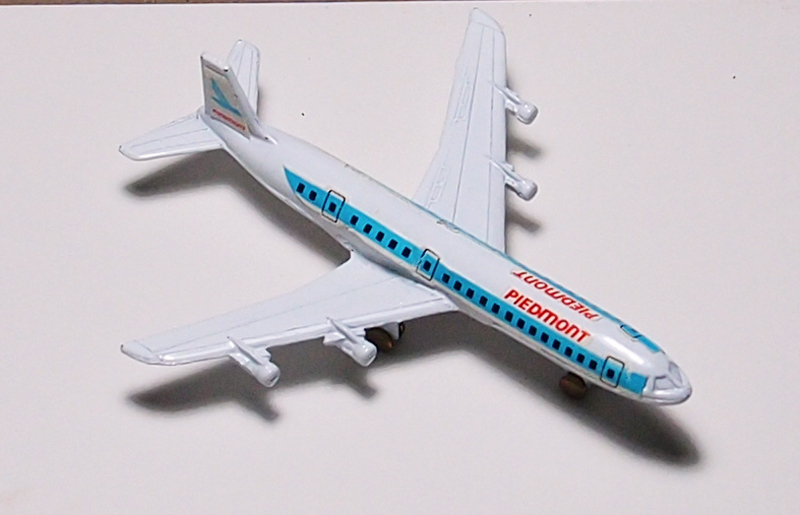 This fantasy piece in Piedmont livery is about 3″ long and 3″ wingtip to wingtip. Feels like it’s made of base metal. White enamel finish and the style number “307” on the bottom. 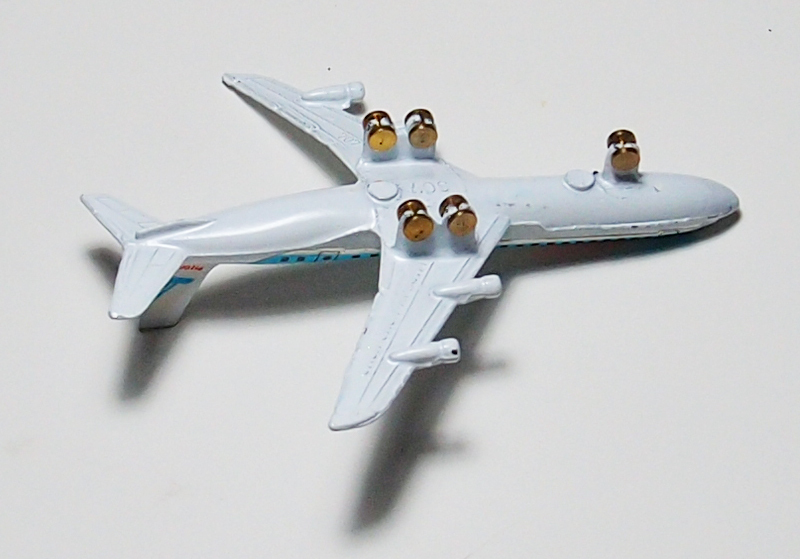 Note Speedbird’s on the tail. I picked up about 5 of these in a bag of Piedmont stuff at the Tree Streets Yard Sale in Johnson City. Posted in Bob Lawrence Photography and tagged Piedmont Airlines, Speedbird. Bookmark the permalink. A Piedmont Airlines Boeing 737-200. It came rolling out in 1968. Read all about it! And now you can go read about Piedmont Airlines! I have heard that TRI was once considered for hub status, but, er, wiser heads prevailed. What? Wiser!?! 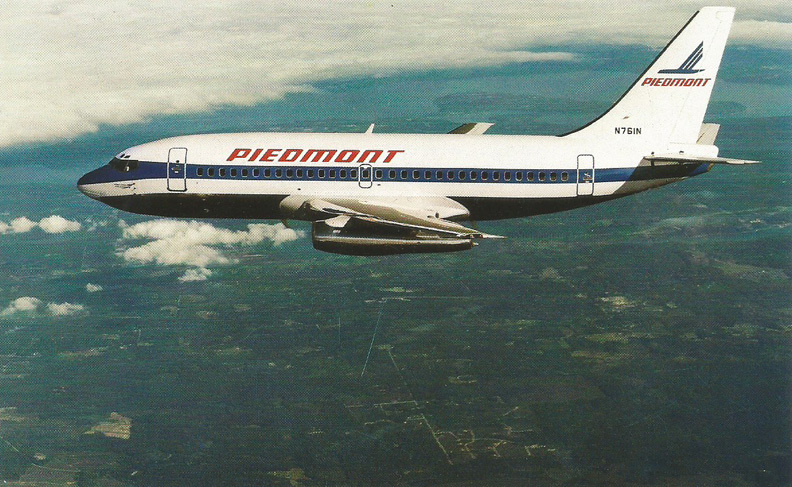 Posted in Existing photo processed by Bob Lawrence and tagged Boeing 737-200, Piedmont Airlines, TRI. Bookmark the permalink.